“Voice of the Empire” is a short story by Mur Lafferty. Originally released in Star Wars Insider 170 (back issues can be purchased here), and features art by Jason Chan. In addition, one can obtain a copy of this short story in the Star Wars Del Rey 2017 Sampler (eBook version available soon). It will most likely be bundled in the paperback release of Catalyst by James Luceno, but that is speculation at this time. The Clone War is over. What was left of the Separatist movement died long ago. The Republic reborn as it rose above the ashes of the treasonous Jedi Order to become a Galactic Empire. Some say the changes came too fast. Some still thought they were a republic. Some tried to wish away the truth in blissful ignorance as their lives became a constant dissonance. In any event the rise of the Empire was upon them. Calliope Drouth was an investigative journalist, for HoloNet News. She could read between the frontlines, backlines, and enemy lines. For this Empire Day (was it the second or third?) her hyper awareness had to gone into Corellian overdrive. Something was not right. It had been not right, for some time. That day in particular was the wrongest of wrong. Yet, she weathered through the sands of deception elegantly. Mur Lafferty spun a wonderful tale of an investigative reporter during the time of the Empire. The use of Drouth interpreting the verbal and nonverbal communication worked really well. I was left in a tension, where one small misstep could be the end of Drouth’s career. I really enjoyed how Lafferty set up Drouth’s character, and I hope she appears in a future story. The possibilities of her juggling the Imperial double speak as she achieves her objectives in a future story would make for a thrilling ride! Stories incorporating the HoloNet News is fascinating to me. The glimpse of early Imperial HoloNet News is a fun experience, when comparing it to how the Empire later handles communication. For example, in Star Wars Rebels we get to see a few broadcasts by Alton Kastle, and his propaganda. Going into the future we also get a story of the New Republic HoloNet News reporter Tracene Kane interwoven in the Aftermath trilogy by Chuck Wendig. This short story was a blast to read. 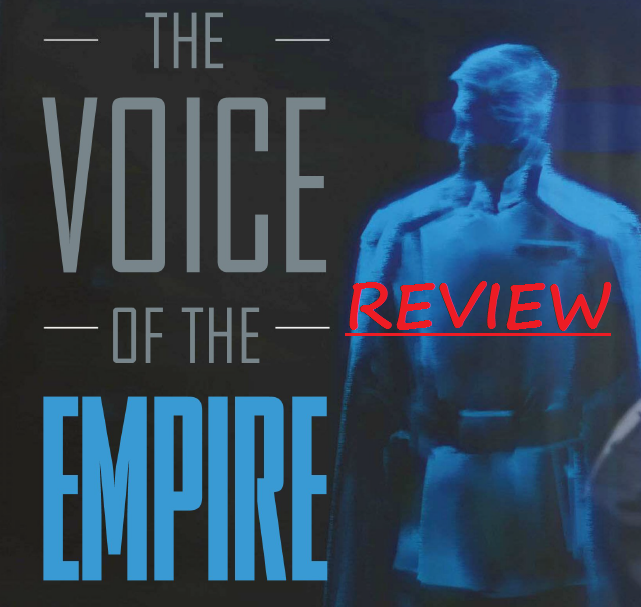 Having a story expand on the HoloNet News and how people view Orson Krennic makes for a fun time. If you are looking at where it places on the timeline, it is around the later half of the novel Catalyst. You could easily read it once you finish Catalyst as a flashback, and before jumping into Rogue One novelization. On the Force Discourse podcast episode 4 you can check out a discussion, with the author Mur Lafferty here! In the episode there is also a discussion, with Full of Sith podcaster/author Bryan Young on the impact of Rogue One!